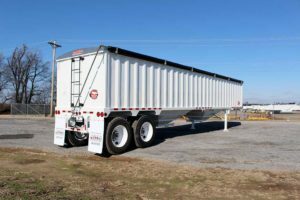 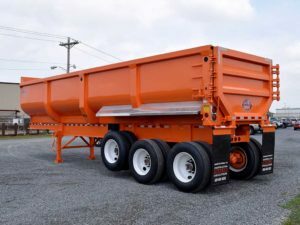 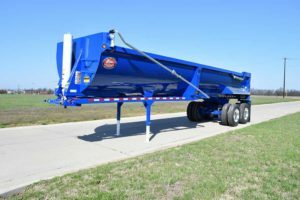 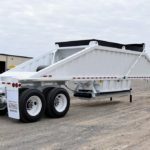 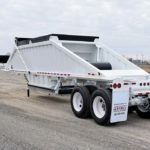 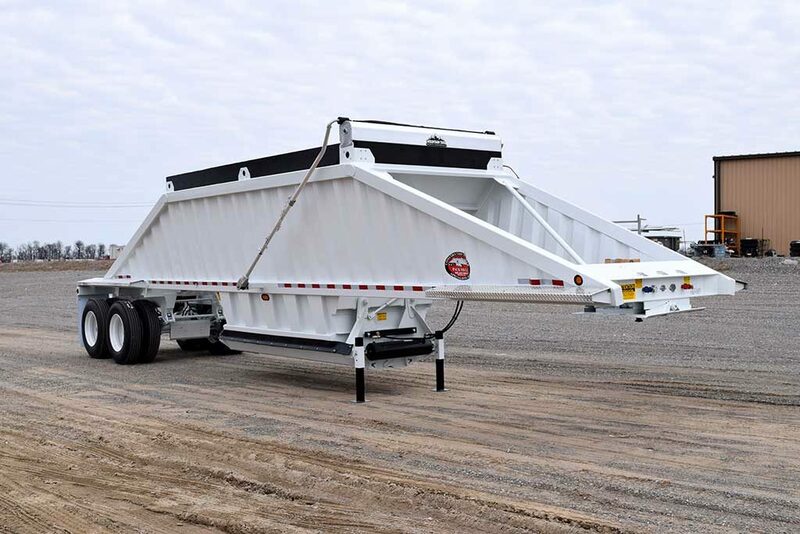 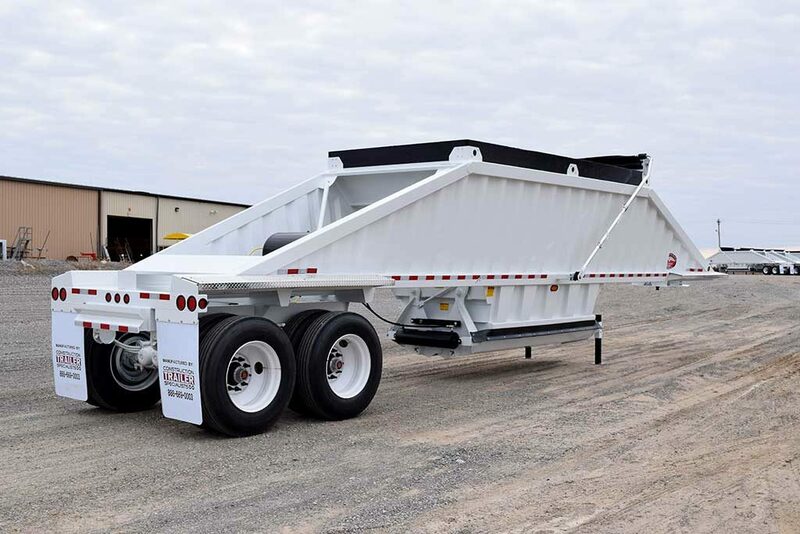 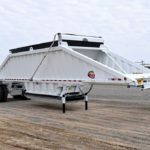 The Pack Mule bottom dump trailer is the industry leader in the belly dump market. 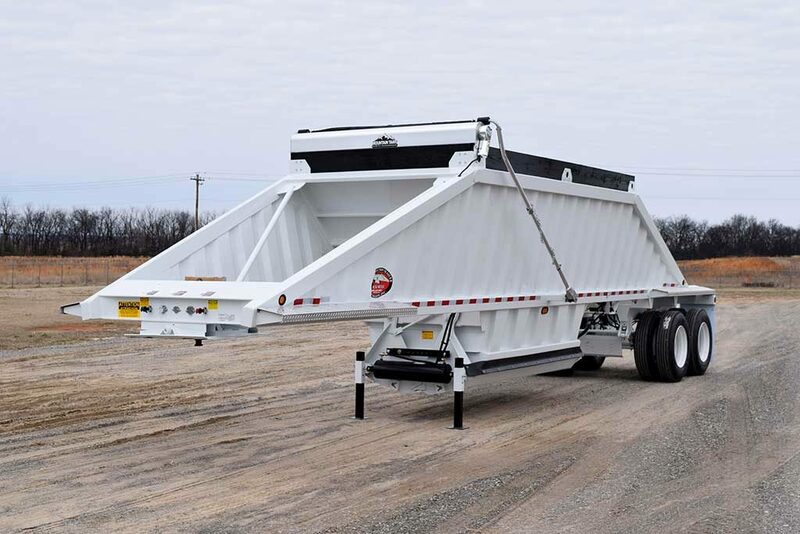 Over many months of engineering and testing, we have been able to make significant changes to our bottom dump that combines the strength of our standard belly dump with the efficiency of the lightweight option. 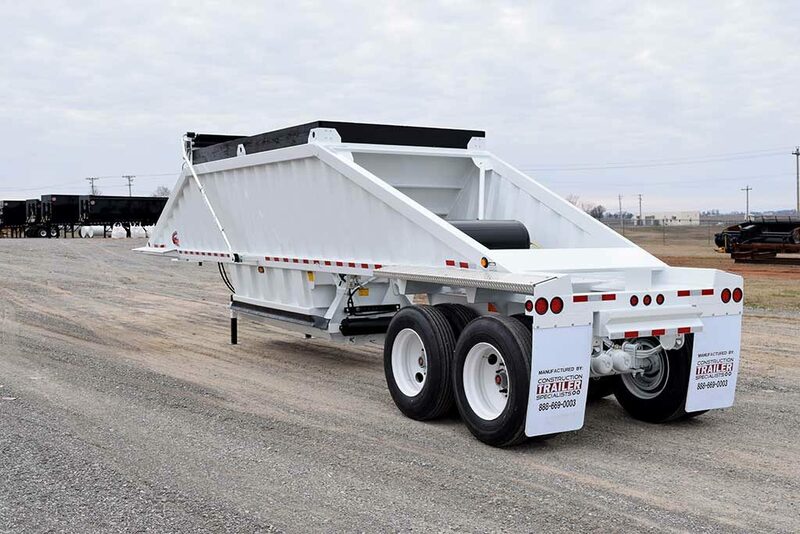 By replacing our steel with a lighter, higher strength steel, removing the slope sheets by replacing them with v-bracing, using aluminum front and rear fenders and using a lighter weight push block, we were able to reduce the weight of our standard bottom dump to 12,500 lbs.